When I look back over many of the most recent blog posts—Rachel’s about how to use notes with a sense of audience, Oishani’s about Blake’s quirky punctuation, my own about the differences between red wax seals and wafers, and other posts from the past several months—I am not surprised to realize that many of these posts began in the William Blake Archive office as informal conversations about digital editing. I remember Oishani asking my input about how to encode a period under a superscript, and I recall spending the better part of an hour with Laura and Lisa discussing why and how we decide that a letter is sealed by wax or wafer. These conversations are illustrative of one of the greatest benefits of digital humanities projects: the opportunity to collaborate and work with a team of scholars from a variety of backgrounds. 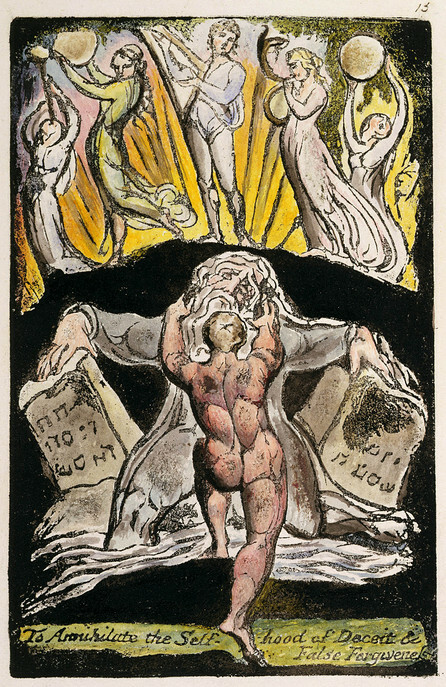 In general, the life of a PhD candidate can be pretty isolated, especially after finishing coursework, but working on the William Blake Archive enables myself and other undergraduate and graduate students to stay in touch with one another, to build on each other’s ideas, to remember that academia really is a community and not just hundreds of automatons researching in isolation. Don’t get me wrong. I enjoy long days of solitary reading through articles, searching for books, and mapping out my own ideas, and I believe that this aspect of humanities, and any, research is of crucial importance. But I am beginning to suspect, because of my work on this digital project, that the digital humanities offers humanities students and faculty a unique and hard-to- find opportunity to practice what it means to be a good and supportive colleague while also gaining additional skills in academic editing and digital research tools. And in a educational environment that increasingly pushes the importance of collaborative learning, it is important that the humanities find a meaningful way to incorporate team-based learning into our present and future work. Pingback: Why we should be talking more: office chat and DH | Uncategorized | Aggregated blogs on Romantic Studies - please click through to read full posts.